Being somewhat of a CFPA Trail snob, I didn’t think much of the Steep Rock preserves before stepping foot in one (there are three). I knew Washington was a lovely town in a lovely part of Litchfield County, but really didn’t appreciate much more beyond that. Well, except for the fact that Washington is the first town in the country named after George Washington. But Steep Rock maintains a good website and provides nice maps and most importantly for CTMQ, has issued a challenge to hike all of their miles. Upon completion, I’ll get a certificate and a lapel pin. They’ve already sent me a hat. Good enough for me, let’s set the alarm for 4:30 AM and get out to Washington for some hiking! June 26th. 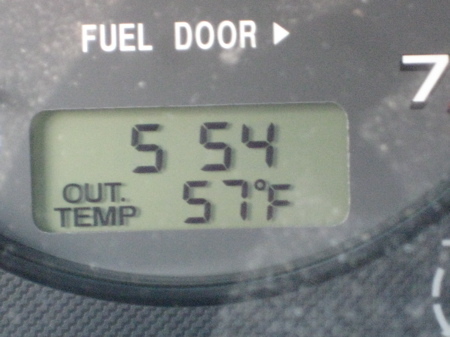 57 degrees. I have no idea why more people don’t hike at dawn. Note: Up front, even if you have no designs on completing the Hiker’s Challenge, I highly encourage you to hike some of the trails here. Trust me. Just keep reading. 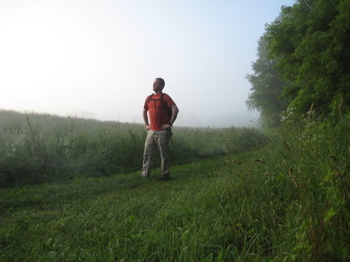 I’ve decided to hike the preserves north to south, for the most part. Part of the Challenge’s challenge is simply route-planning. Anyone who has read more than a few pages on CTMQ knows this is my forte. I live for elegant, efficient and intelligent route-planning. Be it on the roads while taking in museums and such for the site or over trail networks such as these preserves amply supply. I started with the simplest one to sort out, however, in the Macricostas Preserve. Let’s get some background info from the Steeprock Association themselves. 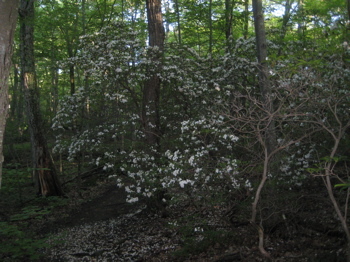 Purchased in 2000 in a “bargain sale” from Constantine Macricostas, the 238-acre parcel is also commonly known as “Meeker Swamp.” It was bought with a combination of funds from the Town of Washington, Connecticut’s Open Space and Watershed Land Acquisition Program, and the Steep Rock Association, via individual contributions. 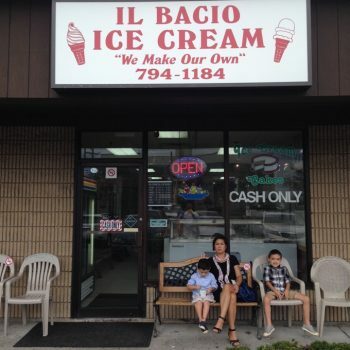 The unspoiled land – a mix of meadow, farmland, wooded ridge and wetlands — sits just north of Route 202, opposite the junction of Route 47, and makes a magnificent natural gateway to the town. 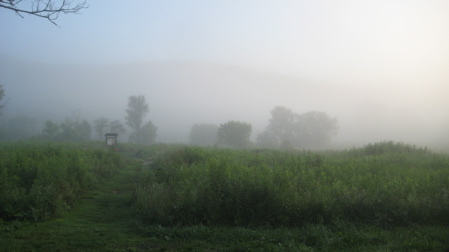 Contiguous to four other previously donated parcels, as well as the pinnacle overlook above Lake Waramaug, the aggregate preserve now consists of 368 acres. The central 238-acre parcel consists of 50 acres of prime farmland; 90 acres of woodland and rocky ridge, and 98 acres of critical wetlands, including the headwaters of Bee Brook, a major tributary of the Shepaug River. The site’s unusual geology represents the eastern limit of carbonate (marble) bedrock in this region of the state, and is where three bedrock units come together. Most significantly, the preserve contains one of the Town’s largest fresh water supplies within both bedrock and stratified drift aquifers. 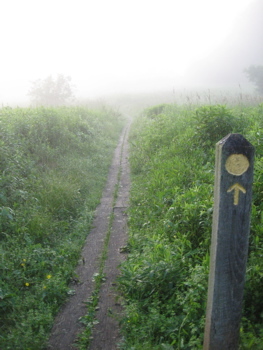 In 2006 the Washington Garden Club completed an interpretive trail along a portion of the yellow blazed trail. Numbered signposts mark unique ecosystems along the interpretive trail, each of which is described in a printed trail guide. Four benches have been placed along the trail. 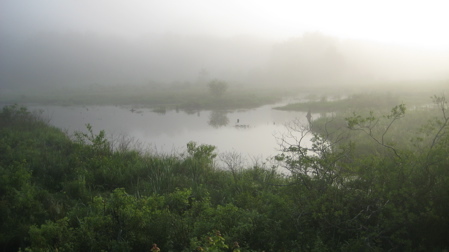 Also in 2006, a viewing platform was built at the edge of the open water of Meeker Swamp, down a short trail off the northeast corner of the agricultural field. I kept this last paragraph here to show that places like this are a joint effort. 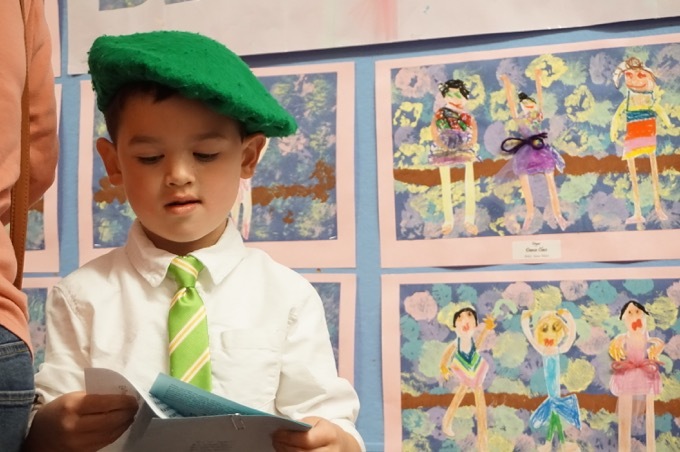 Through the work and volunteerism of divergent groups like garden clubs, Boy Scouts and others, our towns can show-off their natural beauty in educational and simple ways. 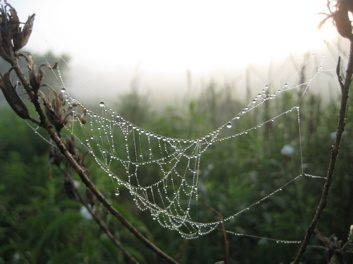 I also included all that to show some of my dewy spider web pictures. I must’ve taken about 30 shots, none of which wowed me I had wished they would. I’m quite confident that a professional photographer out here at 6AM on a summer’s morn would have a field day. In the field. And by “field” I mean in the field. 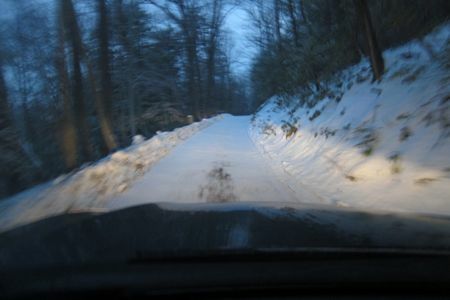 Anyway, I found the parking lot easily (behind a red house on Christian Lane right off of route 202) and hit the trail. There are some well-built kiosks and the trail is extremely well marked. Even through fields, it was mowed to perfection and the blazed signposts were perfectly separated. This will become a theme throughout my Steep Rock hikes. The trails are VERY well-marked. They are in impeccable shape. And the structures (bridges, steps, waterbars, puncheons, handrails – are all extremely well-made. I can’t stress this enough. Now, I realize this is Washington and the folks tending the trails here may have a few more bucks than their compatriots in other towns, but still, a lot of care and planning went into this stuff and I really appreciate it. It was almost like the trail was mowed and the woodland trails were cleared of junk the day prior for my arrival; that’s how well maintained this place is. 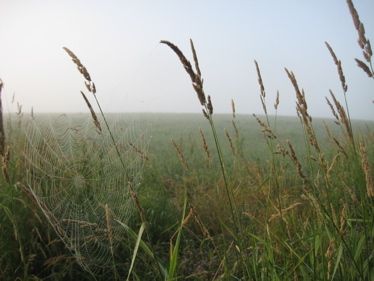 I first trekked around the old hay field snapping these dew-laden web shots the whole way. 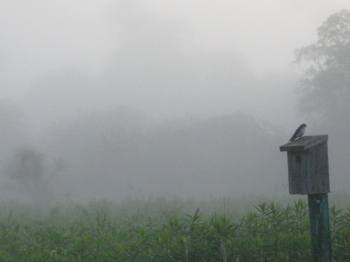 With my early morning solitude and the fog gently lifting, it just felt great to be out there with just the birds for company. It was one of those moments that gives me all I need to continue hiking – and continue writing about hiking – for years and years to come. I love it. On the northeast side of the field, a short side trail leads to the Meeker Swamp viewing platform. It’s just lovely to drink in the scene at that time of day, as the sun rises in the east. There is an educational sign here too, explaining succession of a swamp and how it was created by beavers along Bee Brook and how they’d moved along now that there was no longer any delicious trees to eat. But over time, their old dams would fall apart, the water level would drop and shrubs and trees would return – and ultimately so would the beavers. This whole cycle can be seen from that platform if you know what you’re looking for. I rejoined the blazed yellow trail which crossed the swamp and then offered a choice of way up the hill. 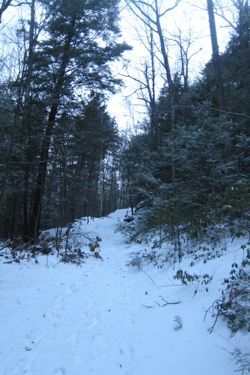 To the right, a longer slightly less-steep route and to the left, shorter and steeper. 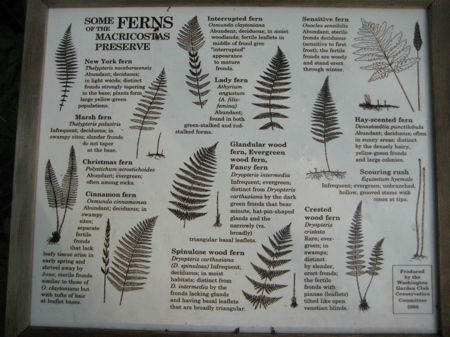 Since I’m old, I took the right fork into the forest and up the hill, past another great sign all about the diversity of ferns in the area. 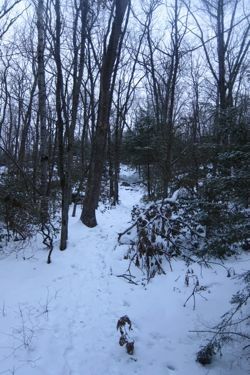 The trail contoured easily around the hill, using an old woods road for a spell, then turned north and a bit sharply up the hill past some huge boulders and cliffs. 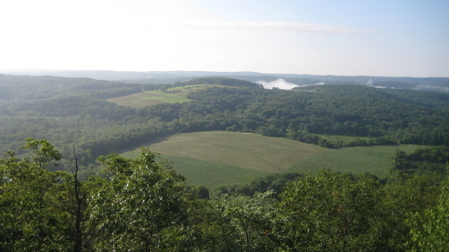 I quickly reached the broad ridgeline and turned west towards the highlight of this preserve: Waramaug’s Rock. On the way, I passed through stands of blooming mountain laurel (our state flower!) 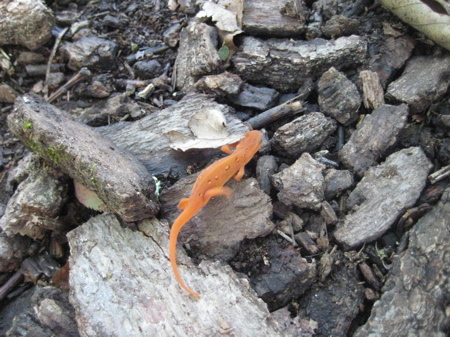 and deftly avoided some brightly colored red efts. I soon reached the junction with the other branch but instead of heading back down, I followed the spur trail to the northwest and quickly became confused. There are signs for “The Boulders.” I like boulders, so I followed the trail which doesn’t appear on the Steep Rock maps. After a quarter mile or so, another rather professional sign for “The Boulders.” I continued along for yet another quarter mile or so, never seeing any boulders, before turning around and heading back to the mapped trails, scratching my head. 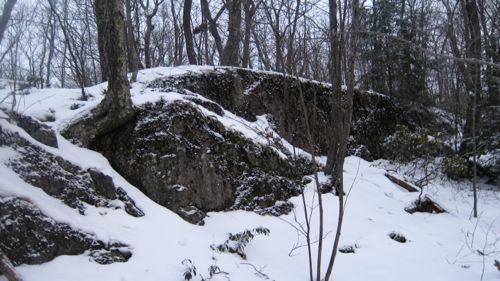 Ah, Waramaug’s Rock. It’s beautiful. I imagine that in mid October it’s just ridiculous. Like, you’d feel guilty for being able to climb up here for free. I like lakes like Waramaug; with their many inlets and twists and curves like a giant inkblot. As I lingered, a panting dog joined me followed by his owner, an impossibly fit woman. I took off down the trail and of course took the other (steeper) route back down to my car. Before I knew it, the dog was on my heels getting very excited. The owner lady quickly followed and apologized, asking me to let them pass. Fortunately, I was standing on an overlook and had no problem with hanging out for a spell. This overlook, on the other side of the hill, took in the field I’d walked around earlier and points south. Of course, as soon as I got going again, the dog had stopped to drink in a stream… So I had to stop again and wait. I was worried this would become annoying, but that dog and that woman flew down the hill at my pace – perhaps even a little faster. I passed an older Asian couple dressed in full-length LL Bean gear huffing and puffing up the hill. Man, they were WAY overdressed, but this seems to be the norm with older Asian hiking couples. I see it all the time. Back through the swamp and then around the other side of the field and back up to my car. All in all, in my short list of “hikes you should do in Connecticut,” I think this loop in the Macricostas Preserve would be on it, for many reasons. I assume this is a quick little shortcut up to the lookout from the west. I probably won’t check it out, but it’s nice to know. Quite excited to get to the other preserves. 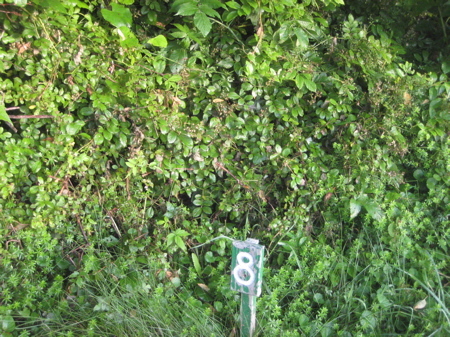 I would be failing you (and the Washington Garden Club Conservation Committee) if I failed to mention a little bit more about the Interpretive Trail here – because it’s excellent. I’ve seen a bunch of these things and they are usually all the same. For some reason, I took a greater interest in this one. Perhaps it’s because they do a fine job of mixing in the locally rare geology; a calcareous (limestone-rich) wetland which has three different bedrock units (Stockbridge marble, Manhattan schist and Ratlum mountain schist). These different rocks give rise to different soils which, of course, means different flora and fauna. The brochure for the trail is nice too and it describes very well the 17 stations along the way. It explains succession and wetlands and unfarmed fields and edge habitat. It also, wonderfully, mentions winged euonymous (burning bush) in the “invasive species” station. The guided walk ends after the walk through Meeker Swamp at the fern sign I mentioned above. Good stuff, good ecology lesson for the general public. Well done! As I mentioned up on top, the fine folks at Steep Rock Association added some trail miles to the Hiker’s Challenge. (They eliminated a lot of little crossover trails in the other preserves as well.) The addition to the Macricostas is simple and straightforward, and I was happy to “complete” the Preserve. I should note that to complete the challenge, I didn’t really have to go back and do this because I did complete it as it was at the time, but that’s just not how I roll. 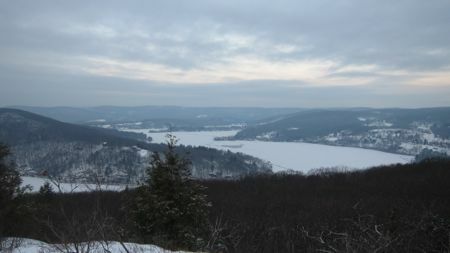 I roll by leaving my house a hour before dawn in an icy snow to head out to Lake Waramaug in Washington. The drive was fine save for a few dicey stretches on 202 in Morris. But really, what else can we expect from Morris? The new trailhead is on June Road, which is a teeny tiny one lane road that parallels route 45 and cuts up the side of the mountain. You know 45; you’ve seen countless “autumn in Litchfield Country shots” along it on the shores of Lake Waramaug. Anyway, June Road isn’t even on Google Maps as of today. I’m just glad no one was coming the other way (nope, it’s actually not one way). The hike up the new Pinnacle Trail is about as difficult as the easy way up the other side. I’d guess the new trail extension is about a mile, even if they say it’s less. Once again, as with all Steep Rock Trails now, it is well-blazed, impeccably cleared, and very well planned. This is just a fantastic organization. 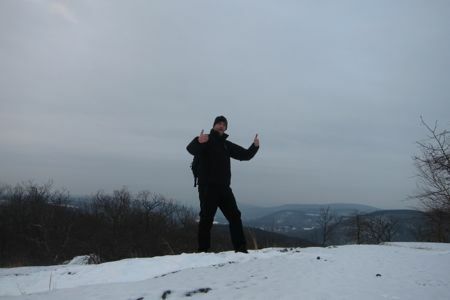 My micro-spikes did their job beautifully and I had no issues getting up the snowy and icy hill. 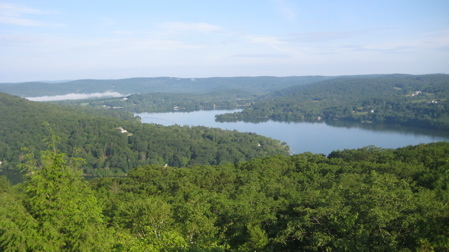 If you missed it, scroll halfway up this page to see the view of Lake Waramaug in opposite seasons. Rather a stark difference. Despite the menacing looking snow squall behind me, I went on to hike for a few more hours down at Steep Rock’s Hidden Valley Preserve in what turned out to be a sunny day. My husband and I hiked up to the pinnacles Saturday, march 24. It was an amazing sight for sure!! The hike was strenuous and at times I was fearful my husband might not make it. Coming down was no picnic either. My / our legs hurt today. Like your blog. I honestly appreciate every bit of your blog. 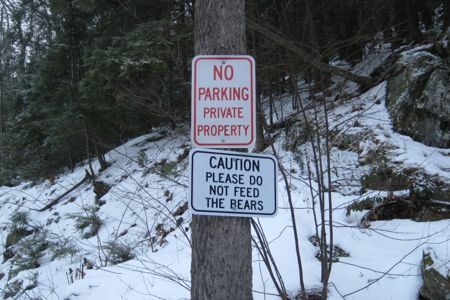 I cyber-stumbled across is whilst searching for information on trails at Steep Rock. 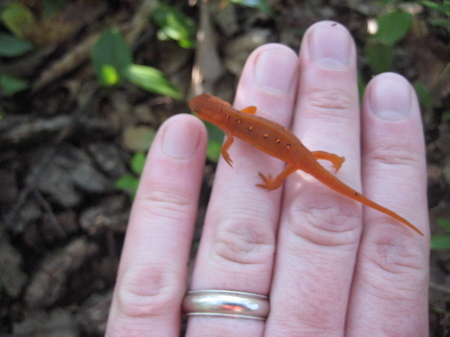 If I had only seen this blog earlier in the summer–not that it is “too late” to go hiking. It’s never too late for a good hike. I went to Steep Rock with a friend a few weeks ago to the tunnel, and was taken back by it’s beauty. 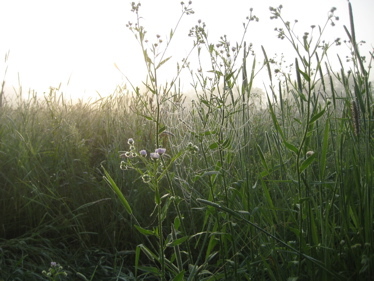 I cannot wait to take a hike at the Maricostas Preserve…ASAP! :) Thanks for the inspiration! You are a better man than I am Gunga Din. I was still very very much asleep when you did all this. But I’m confused about one thing: Do you mean Route 45 (re: “countless autumn in Litchfield County shots”)? Route 45 is the one that goes around the lake, and 47 is on the other side of 202 heading back toward Washington Depot. Right? Great review. I vouch for this trail for snowshoeing. Took the long cut to the pinnacle and back on the shortcut in 2 hours. Absolutely beautiful and the conditions were perfect. As a bit of additional background on the June Road Trail. This had been the primary trail to get up to the Pinnacle during my youth in the late 70’s and mid-80’s and I believe previous landowners relied on the hikers honor to respect the private property that it crossed. I have made countless trips up from June Road and had even discovered a few fossils in some of the exposed pieces of bedrock. Not completely a surprise given the geologic origins of the Lake. A lovely way to hike up to the summit especially on a hot summer day when the woodland shade is welcome relief…so grateful that this is now a designated trail.